66 X 66 Inch Tueller Wall Easel with Two Masts. 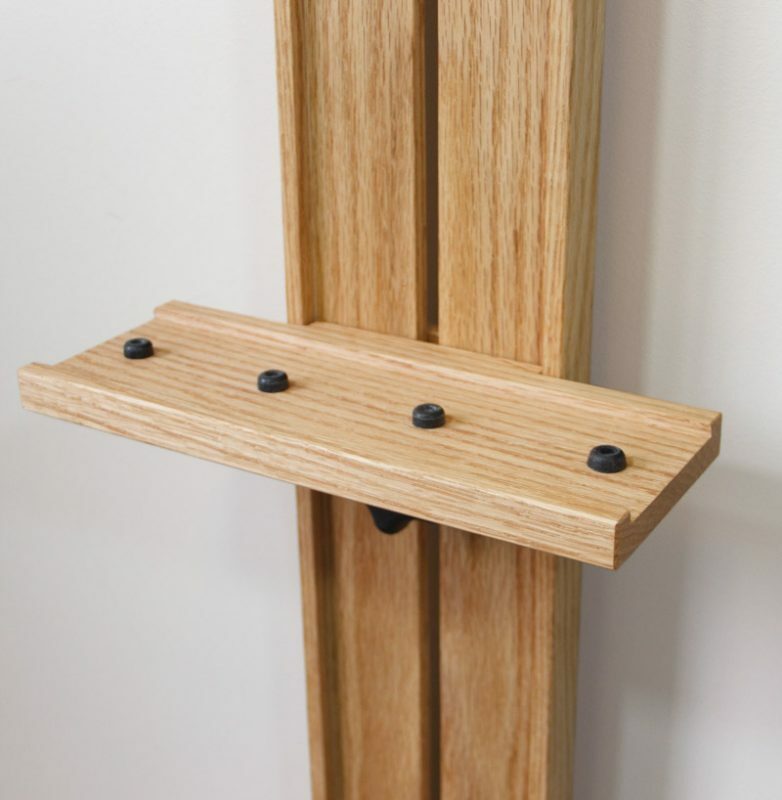 Made of red oak, hand finished with Danish Oil. 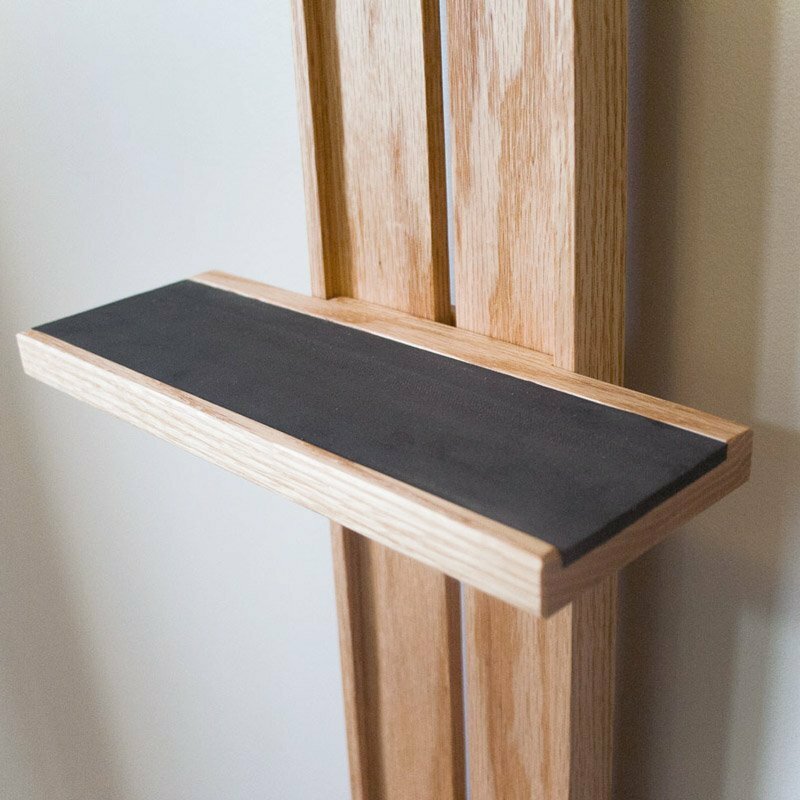 Your choice of standard or deep canvas holders. Installation hardware is included. 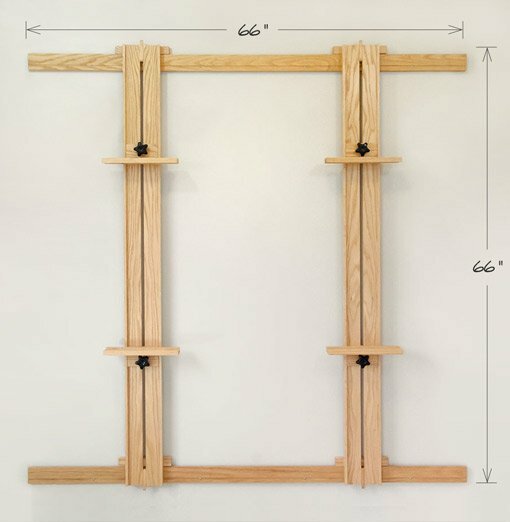 Tueller Wall Easels are individually handcrafted. Orders typically ship within 14 days. We send emails to keep you updated on the status of your order. Shipping costs are shown before placing an order. 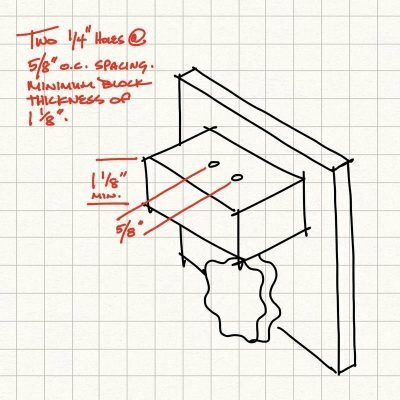 NOTES: We include installation instructions and 2 inch long wood screws for fastening the wall easels onto a typical stud wall. 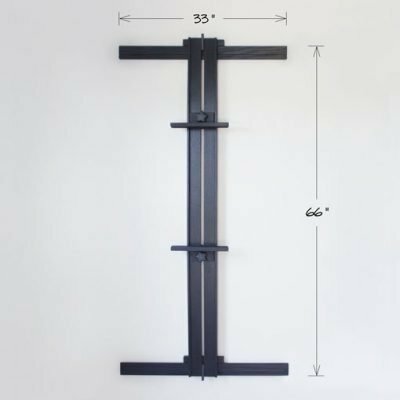 Contact us before placing an order if you would like to install a wall easel on another type of wall. Installing the wall rails requires a tape measure, drill, screwdriver with a #2 square drive bit, level, and a little know-how. An electronic stud finder is helpful too! 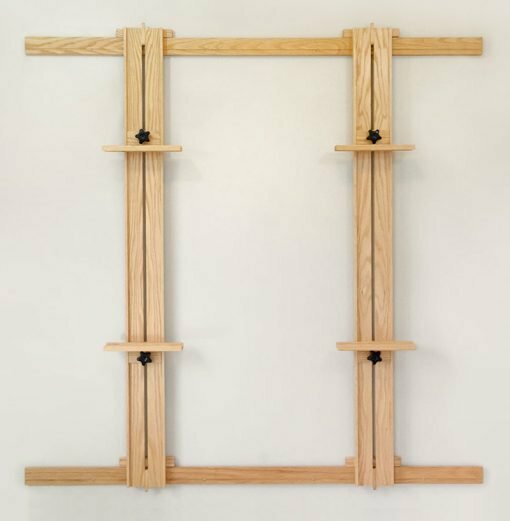 Standard Canvas Holders accommodate canvases or cradled panels up to 1-½ inches deep. Includes an additional ¼ inch slot for thin panels. 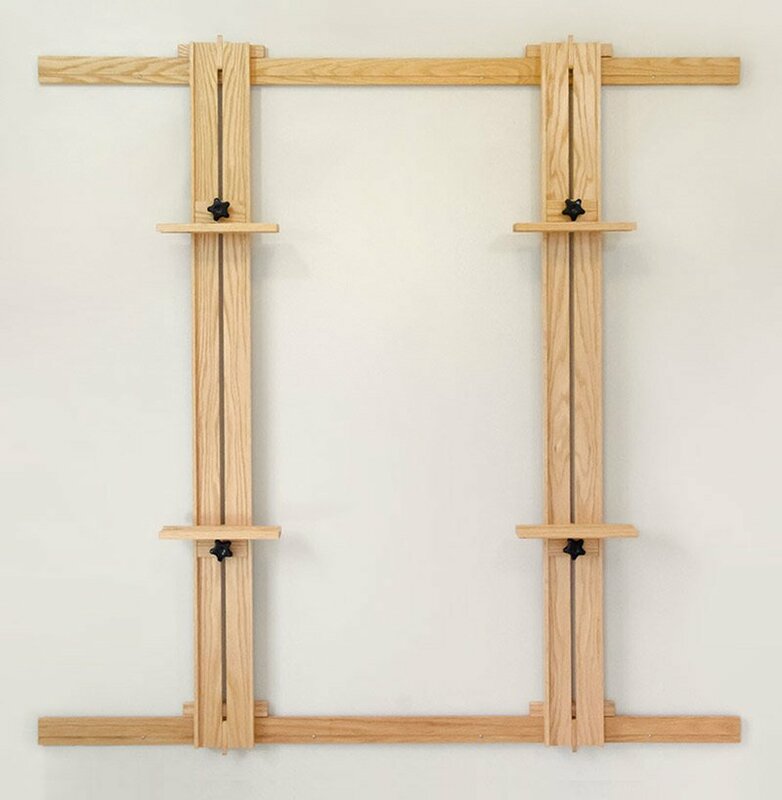 Deep Canvas Holders accommodate canvases or cradled panels up to 3 inches deep. Includes rubber grips to allow painting edge-to-edge. 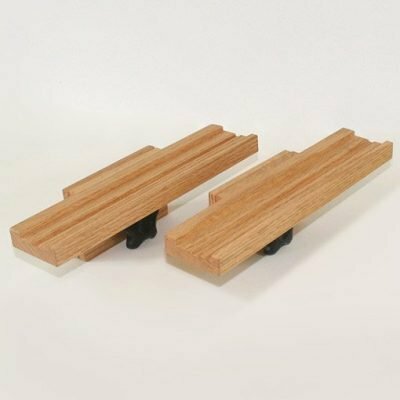 Rubber grips can be installed in forward, middle or back positions as needed. Deep Canvas Holders with Soft Foam Rubber Pads accommodate canvases or cradled panels up to 3 inches deep. 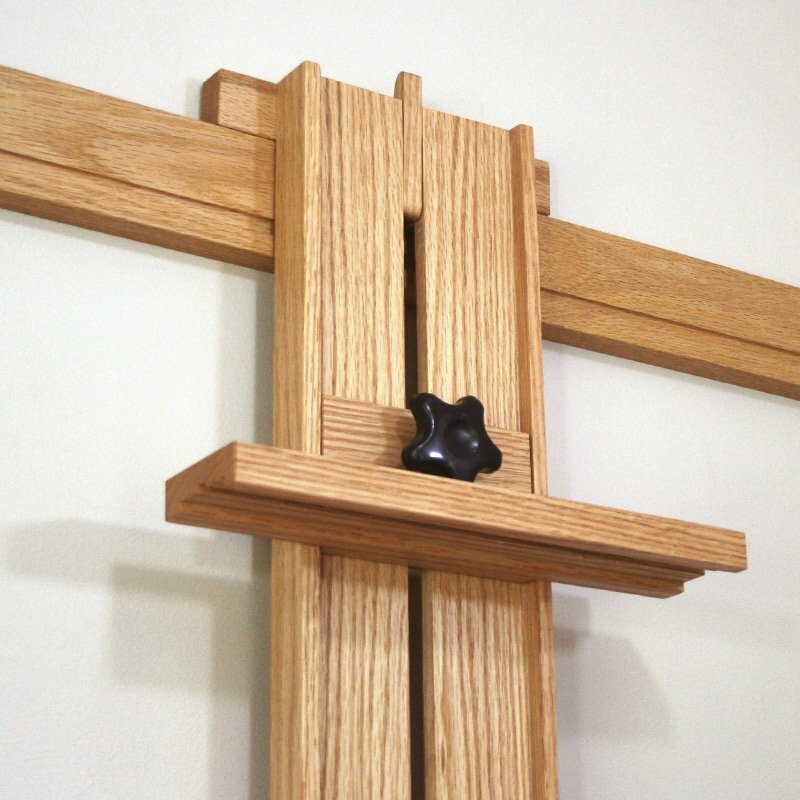 This option is primarily for holding items with fragile or irregular edges (ex. for photographing paintings that are in antique gilded plaster frames). The pads are closed cell polyethylene foam, oil and solvent resistant. From a 1600 sq ft studio and storage area down to a condo studio…320 sq ft. The wall easel has not only made this possible. It made the impossible possible. Thank you Jason!! 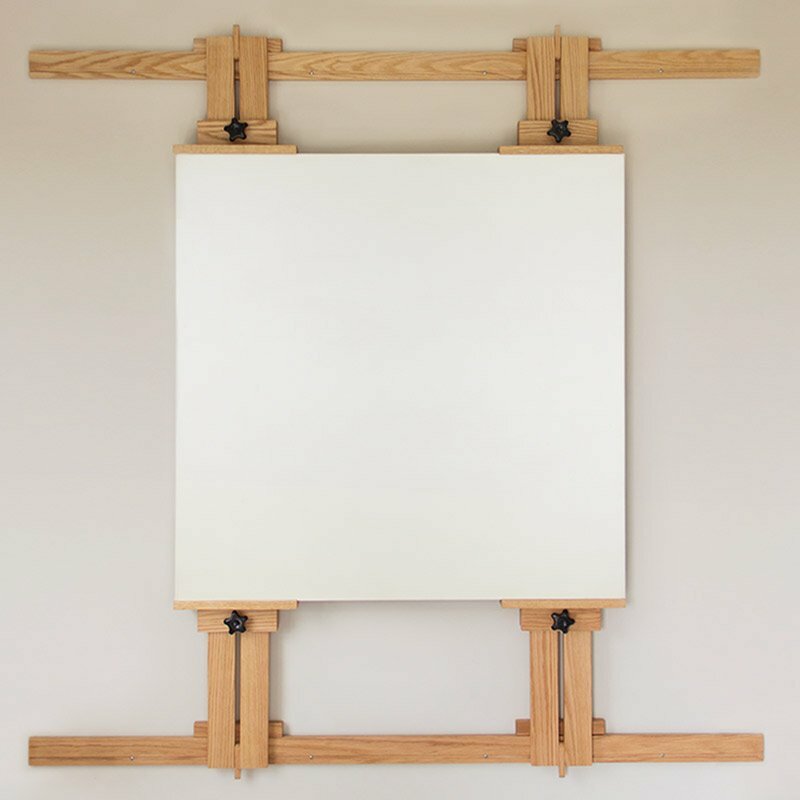 This easel is incredible! 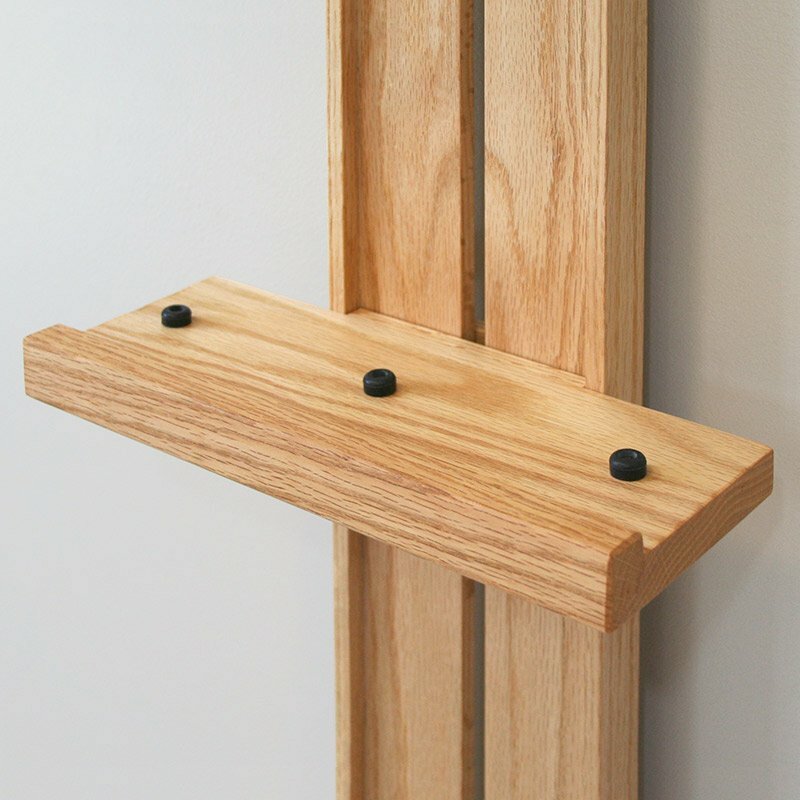 Easy to install and can adjust for many options for different painting surfaces. 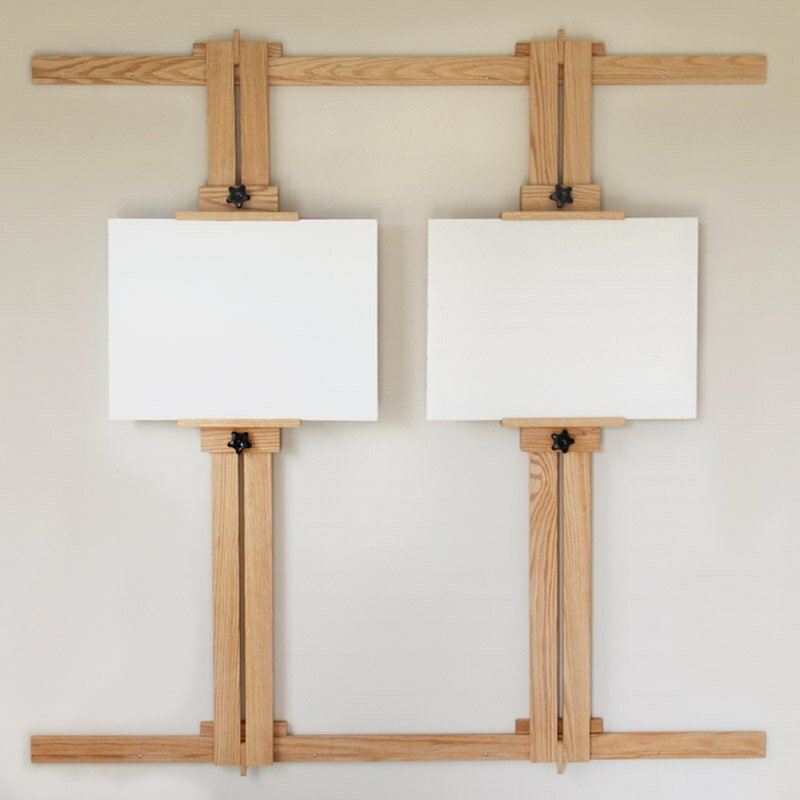 It provides an area in small spaces for painting large canvases. Love it! 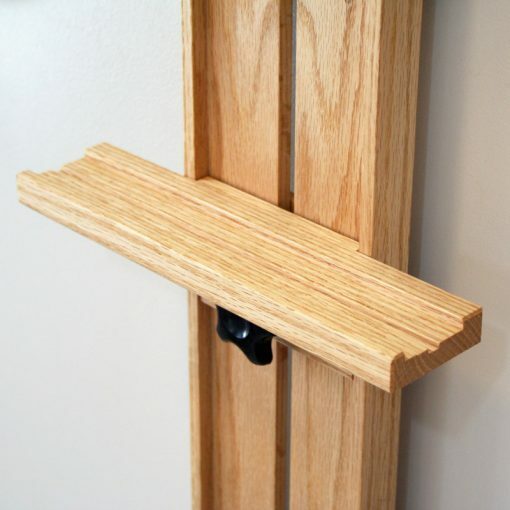 A wonderfully made easel, carefully packaged, and thoughtfully written instructions made for an easy installation. This was exactly what I was looking for. My studio has more floor space now and this easel will make working on oversize paintings a pleasure. Jason is obviously committed to excellence!